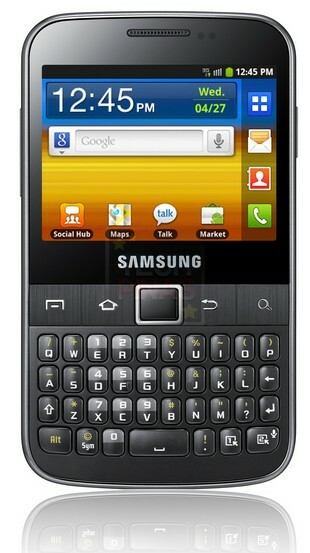 Samsung Galaxy Y Pro Price Philippines Php 9,990, Specs, Release Date, Touch and Type Features! Check out Samsung Galaxy Y Pro. As I've earlier explained on TP, the Pro version of any Samsung Galaxy handset is characterized by a physical QWERTY keyboard as well as strong 'business' features; Samsung Galaxy Y Pro, for example, is equipped with the "Think Free" Office Document Editor, allowing you to view and edit MS Word, Excel and PowerPoint documents on-the-move. "The Samsung GALAXY Y Pro is the perfect device for professionals looking to manage their busy work and social lives" said Binggoy Mauricio, SEPCO Business Unit Director Samsung′s Mobile Communications Business. "When you want to get ahead - and stay ahead - of the game, you want a Smartphone that can give you the edge. With immediate access to your work and social communities via Social Hub Premium, and the endless application experiences afforded by Android Market, the GALAXY Y Pro gives you that edge." Samsung Social Hub Premium is the ideal solution for users who constantly juggle their work and personal communications, manage multiple social networks and receive high volumes of messages and emails. To simplify your life, the Social Hub Premium brings together all of your email, SNS and IM accounts to a single page, giving you instant access to your communications. Check Twitter feeds and Facebook updates, answer emails from your boss and text friends all from your central contact list. With the GALAXY Y Pro you can stay in touch, reply quickly and never miss a thing. Powered by the Android 2.3 Gingerbread platform, the GALAXY Y Pro gives you access to over 150,000 high-quality apps and services from Android Market. This means that you can customize your GALAXY Y Pro with the applications to suit your smart life. Download the latest games to keep you entertained on your commute, use maps and location-based services to get you to your meetings in good time and manage your news feeds to be better informed than the competition. With the Samsung GALAXY Y Pro′s dual-input combination of a touch-screen and QWERTY keyboard, you are equipped to react, respond or reply in double-quick time. For swift, accurate typing, the QWERTY keyboard provides desktop-computing accuracy. For intuitive ease-of-use, the touch-screen gives fingertip control. Together, they provide a swift, enhanced user experience capable of keeping pace with your busy life. 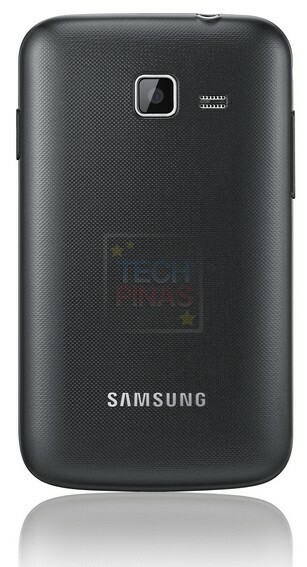 Samsung Galaxy Y Pro is now officially available in the Philippines via authorized retail outlets. The suggested retail price is surprisingly low; You can grab one for only Php 9,990!